On June 25, Minho and former national soccer coach Choi Yong Soo�guested on the 'World Cup' special of JTBC's 'Please Take Care of My Refrigerator'. 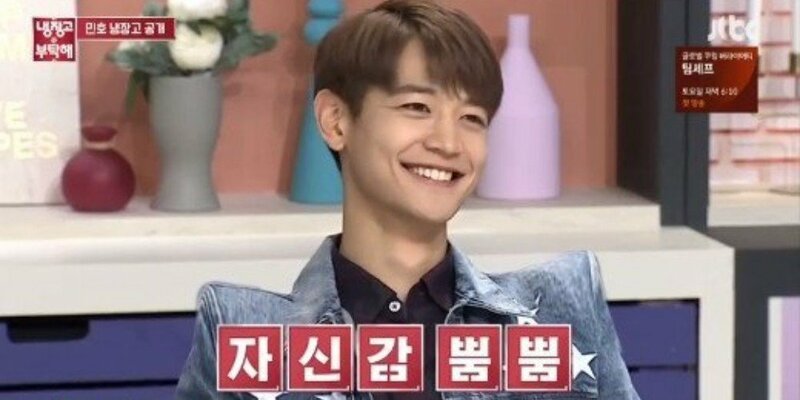 During�the show, Minho shared, "I debuted when I was in high school and 10 years have flown by," and surprised viewers as he added, "I still live in the dorm." Minho explained, "There are members who come and go but it's usually me and Onew hyung." He also revealed, "There's a lady (housekeeper/maid) so we usually eat at the dorm. She's very good at cooking."